It started on a couch in Berkeley. That’s where RealtyShares founder Nav Athwal got an idea that has the potential to change the face of real estate investing. A land use attorney and electrical engineer by trade, Athwal was also an active real estate investor. He saw firsthand how difficult it could be to get financing for projects and, by the same token, how many of these projects were inaccessible to the average investor. It was a heady first year, full of high-stakes phone calls and late-night Mongolian barbecue. 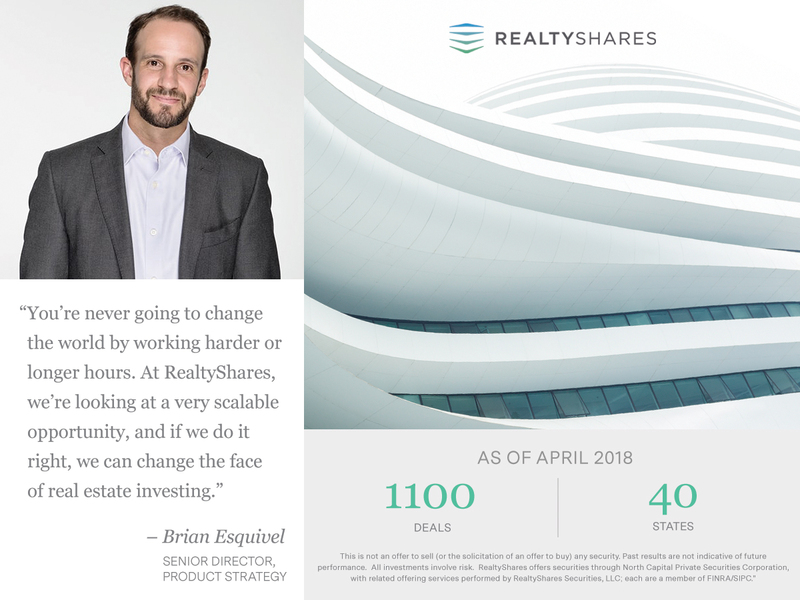 Ultimately, on the strength of the concept and the team that Athwal had assembled, RealtyShares was awarded $1.9 million in seed funding from General Catalyst. In those early days, transactions were small, and RealtyShares dabbled in different property types. The very first investment opportunity listed on the platform was just $39,000, a single-family home in Jackson, Mississippi. From there things only got bigger. 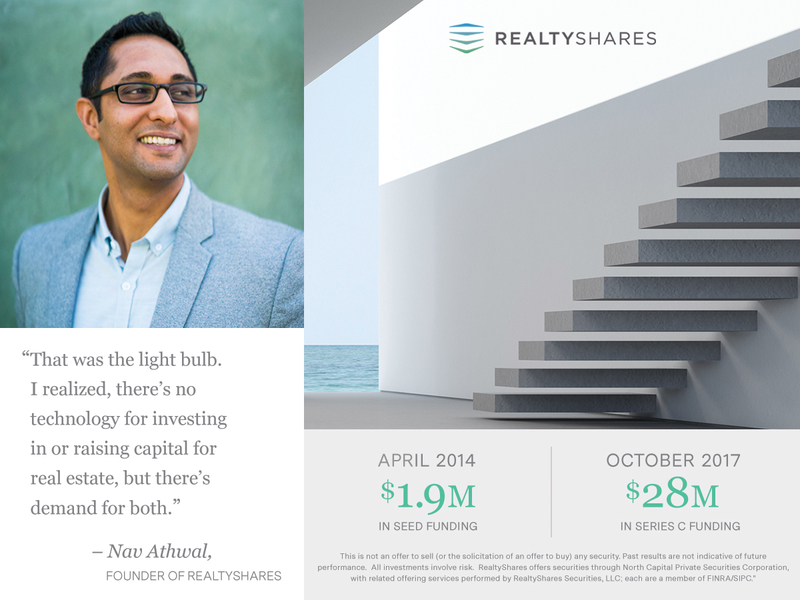 Five years later, RealtyShares is growing up. Today our average investment size is $2.1 million. We have done more than 1,100 deals in 40 US states for a total of $750 million raised on the platform. Most important, we have narrowed our focus to areas where we believe we can provide unique value to both investors and real estate sponsors. The idea was as powerful as it was simple. Through a curated online marketplace, individual investors would be empowered to directly invest in real estate projects around the country. 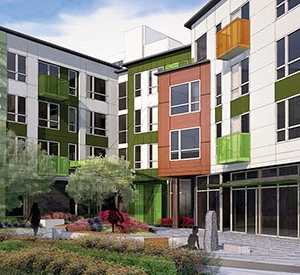 RealtyShares now focuses on the commercial middle market: real estate properties valued at under $50 million. 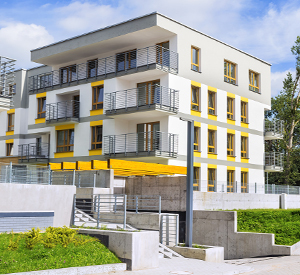 According to data from Real Capital Analytics (RCA), it is both the largest sector of the commercial real estate market and the one most starved for capital. *According to data from Real Capital Analytics. Historically, banks and institutional lenders have given the middle market short shrift, preferring higher-value transactions that generate larger fees. For that reason, there has been no single, programmatic lender in this sector. The challenge—and the opportunity—is to build a sustainable business model around these lower-value transactions. For RealtyShares, the answer is technology. By automating elements of origination, underwriting, and reporting, we can increase deal flow and reduce human inputs. By offering enhanced transparency and performance data, we allow investors to build a personalized portfolio that aligns with their financial goals. Going forward, we aim to create value at every stage of the sponsor journey, helping source deals, finance them, and manage investor relations. Even as our technology advances, RealtyShares remains grounded in core values and the customer experience. After five years and four offices, we are now a team of talented and driven professionals who, together, represent hundreds of years of experience in the real estate and technology industries. We stand with sponsors and investors throughout the project life cycle, and we don’t do deals we wouldn’t feel comfortable investing in ourselves. We’ve come a long way in our first five years—and we have a long way to go. But we’re confident that we have the right team, the right technology, and the right values to face whatever challenges lie ahead. 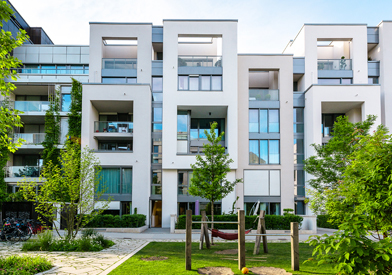 At RealtyShares, we connect capital with opportunity to unlock the growth potential of the middle market. It’s a vision of the future we can’t wait to invest in.